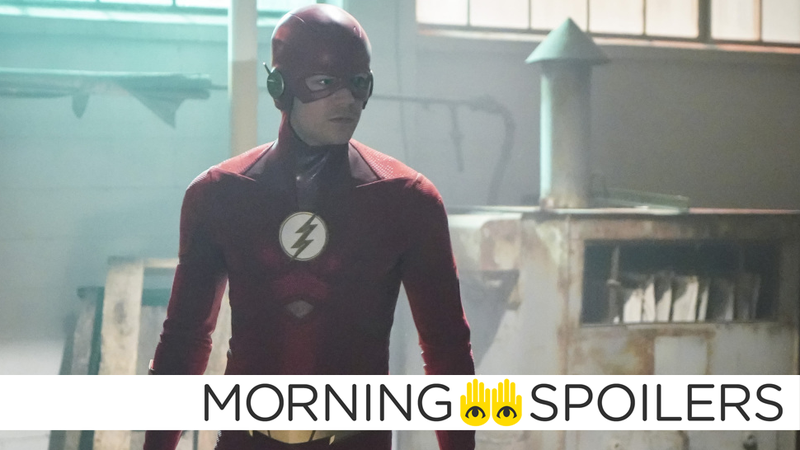 Could Team Flash be down a member by the end of the season? According to Production Weekly, Ilana Glazer will star in a comedic take on Rosemary’s Baby from A24 and Pee-wee’s Big Holiday director, John Lee. Olivia Munn confirmed she does not appear in Dark Phoenix in a recent interview with Entertainment Tonight. I can’t say anything because last time I said a little bit they sent me a note. But I’m not in it. I was filming Predator at the time so there wasn’t time for me to film it and so I’m not in it. I will tell you guys. Daniel Radcliffe denied recent rumors he’s been cast as the next Wolverine in a recent interview with IGN. Production Weekly also reports the long-in-the-works Masters of the Universe movie begins filming this July in Prague. Meanwhile, in yet even more production start date news, DiscussingFilm has word the latest Ghostbusters starts filming May 13. In a recent interview with Rue Morgue, writer Jeff Buhler revealed the upcoming Jacob’s Ladder remake ends on a different twist than the original. I would say this is more a reflection of the original film than a remake of it. Speaking of Octavia Spencer earlier, Bloody-Disgusting has the first poster for Blumhouse’s upcoming horror film, Ma. Two new TV spots for Nickelodeon’s Wonder Park have crawled out of the woodwork. A Korean family tries to profit from a pharmaceutical company’s illegal experiments in the first trailer for The Odd Family: Zombie On Sale. In happier news, Gorilla Grodd prepares to do battle with King Shark in the trailer for the next episode. In related news, Echo Kellum confirmed he’ll no longer be a series regular on Arrow following Monday night’s episode. Speaking with /Film, writer Nick Antosca confirmed the working title of the Child’s Play television series is, predictably, Chucky. The working title is Chucky. That could change, but that’s the working title. Antosca also stated the show hopes to retain the tone of the first two films in the franchise, as opposed to the later, tongue-in-cheek sequels. The series is going to be closer to the tone of the first two movies in the series though. It’s going to go back to a sort of classic scare. Season three premieres Wednesday, June 5, with three new episodes according to Deadline. Spoiler TV has a synopsis for the pilot episode of Doom Patrol. The Gods go diner hopping on a new poster from TV Line. Finally, the end is near in the trailer for “Better Angels,” the series finale of Counterpart.